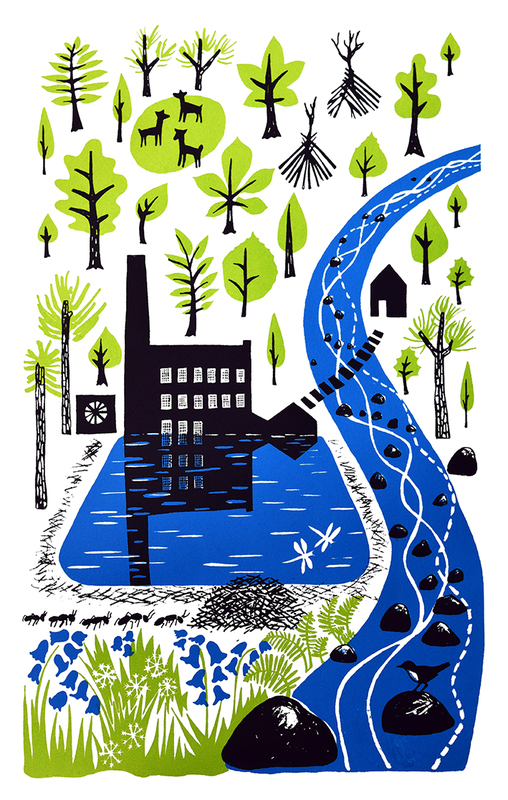 This is a 3 colour screen print in blue, green and charcoal grey. It depicts Hardcastle Crags, our local beauty spot and National Trust property, with various of the components you might find nestled in this beautiful wooded valley. It has in part the feel of a mid centuary travel poster in the way that it celebrates the sense of place. It is printed on 50cm x 70cm 200g Fabriano paper. With vegetable based printing inks. The printed area covers 30cm x 50cm.